Our pedals are usually in stock and ship within 48 hours. On the rare occasion that the pedal is not in stock, it can take up to 5 working days to ship out. 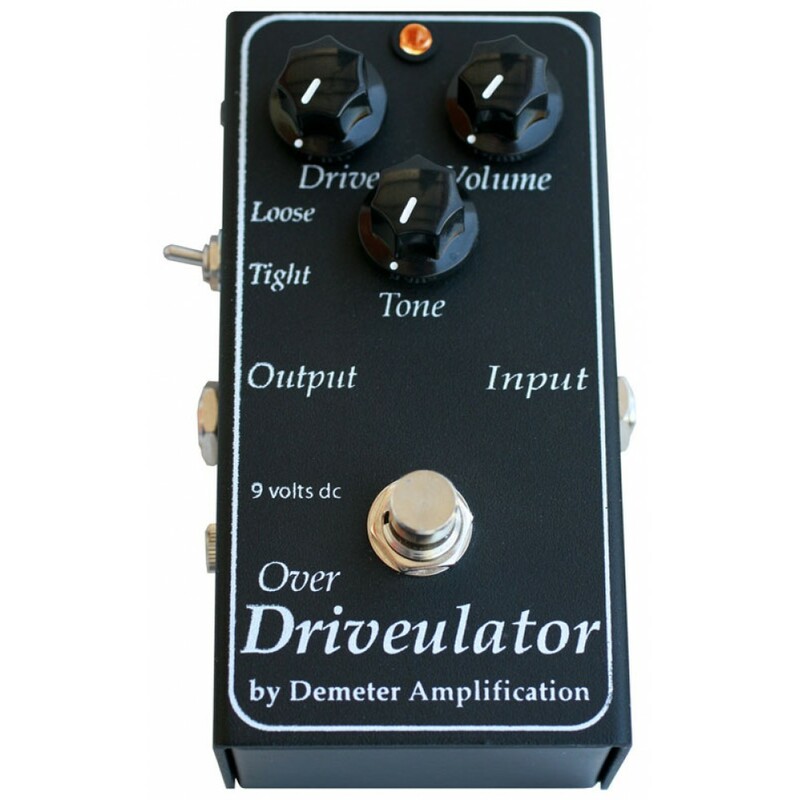 The Over Driveulator is a versatile distortion pedal which tones ranging from vintage fuzz-type overdrive to modern high-gain overdrive. The pedal is essentially two distortion circuits in one, using Silicon diodes in the 'tight' setting, and Germanium diodes in the 'loose' setting. You can easily toggle between modes using a selector switch on the side of the unit. The controls on the unit are fairly simple, but give you a wide range of tones. 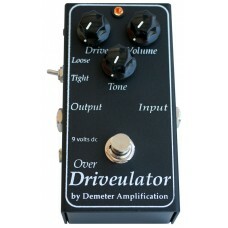 Drive: Controls the amount of overdrive. Volume: Controls the output level of the unit. Tone: Controls the amount of high frequency output on the unit.